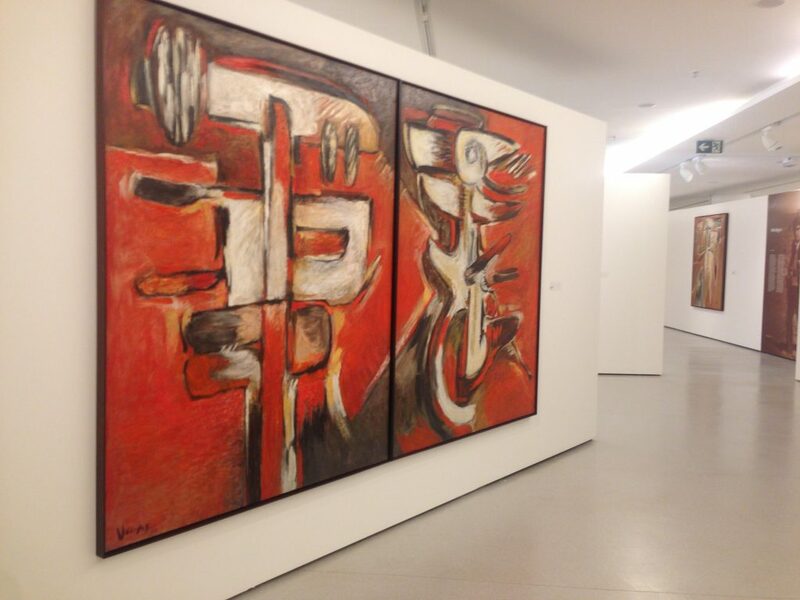 During the 1953 celebrations of São Paulo’s fourth centennial, twenty-seven-year-old Venezuelan artist Oswaldo Vigas (1926-2014) participated in the second São Paulo Art Biennial with his energetic, colorful and bold paintings. It was Brazil’s last show of who would become one of the leading lights of Latin American art, until the current posthumous retrospective “Oswaldo Vigas Anthologica 1943-2013” at Museum of Contemporary Art MAC/USP, in São Paulo. (It travels to the US and Mexico after this.) “Vigas was ignored by Brazilian culture; notwithstanding the artist’s intention was aligned with the Latin American universe of the fifties and sixties,” writes Hugo Segawa, the museum’s director, in the catalog. The show is part of a timely move that reconvenes Spanish- and Portuguese-speaking Latin Americans to finally break the Andean-high barrier that tore apart our continent psychologically and socially since the 1930s, despite similar political undertones. Admiring Vigas’ works in the exhibition, I was swept away in memories. One of them took me to the 1998 page-long interview in the Sunday edition of Jornal da Tarde that I had the pleasure to do with Caribbean-born art historian Edward Lucie-Smith, now eighty-three. Long-haired and fluent, he’s the author of numerous books on art including “20th Century Latin American Art”(Thames & Hudson, 1993), translated into several languages and to this day a main reference. 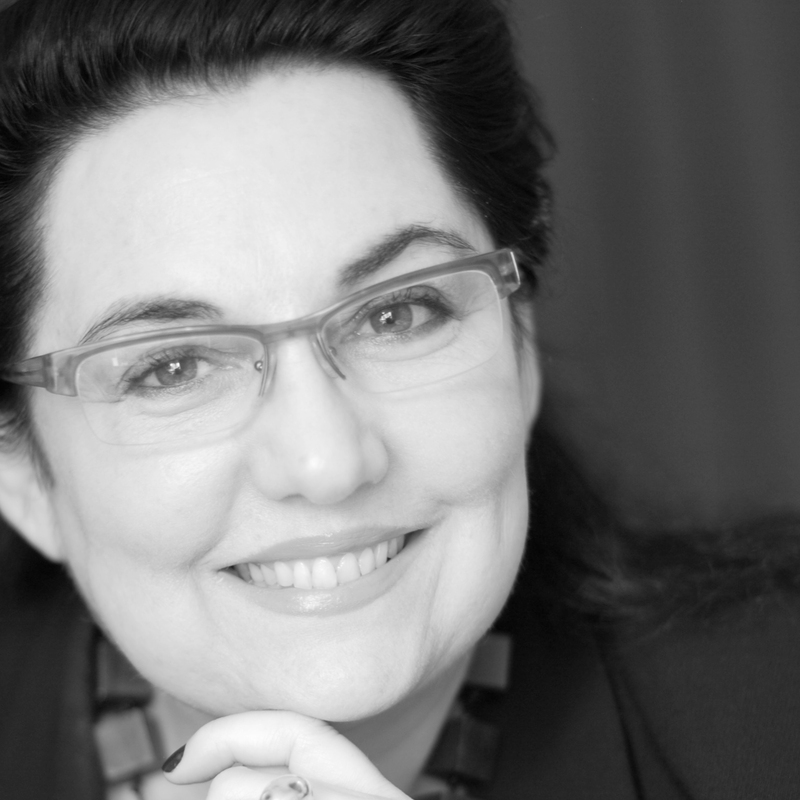 The book and the long conversation with Lucie-Smith were my introduction to modern art of some of the other lands of my continent. 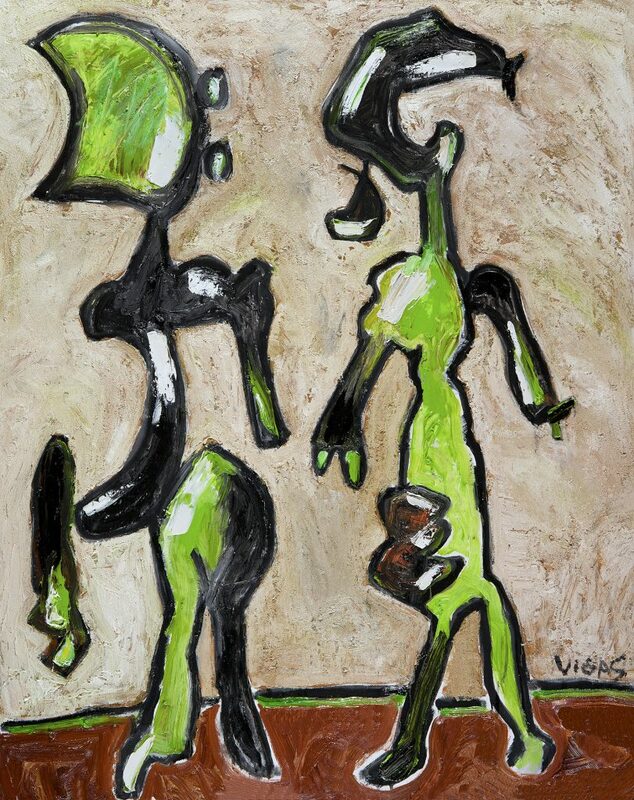 Vigas had a degree in medicine—Latin America’s middle class saw no good in art for their siblings. But when he made it to Paris, he plunged into an art scene quickly entranced with the young, virile-looking South American who painted in vigorous brush strokes with vibrant colors depicting hybrid figures and the spirit of his Venezuelan roots, “the Latin American plastic adventure,” as he put it. 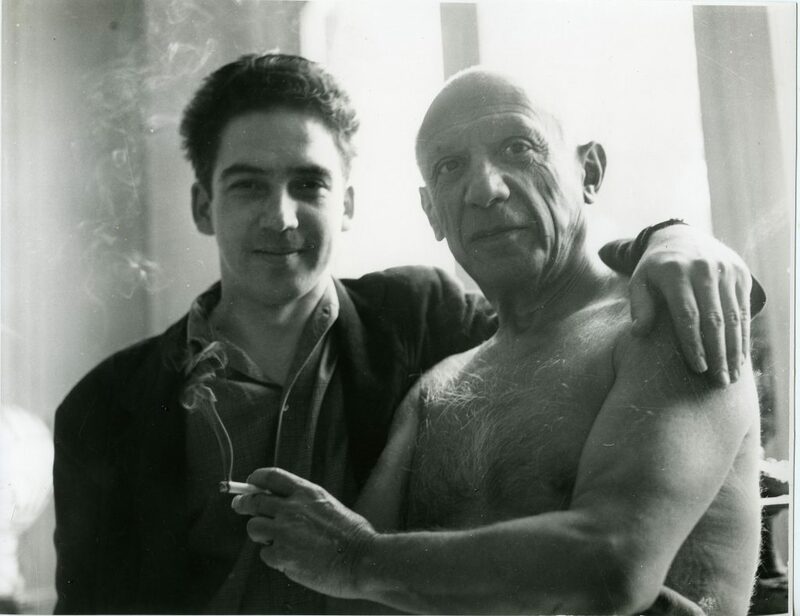 Before long, he was exhibiting in the prestigious Salon de Mai at the Musée d’Art Moderne in Paris with Chagall, Giacometti, Magritte and Picasso. The Oswaldo Vigas legacy is being preserved by his son, Lorenzo Vigas, an award-winning film director whose first feature, “From Afar,” recently won the prestigious Gold Lion Award at the Venice Film Festival; he says, “I have an obsession with the theme of paternity.” In the second half of 2016, he will begin work on a documentary about his father. We spoke recently about his father’s life and work. From a distance, how do you interpret the significance of your father Oswaldo Vigas In the twentieth-century artistic scenario? 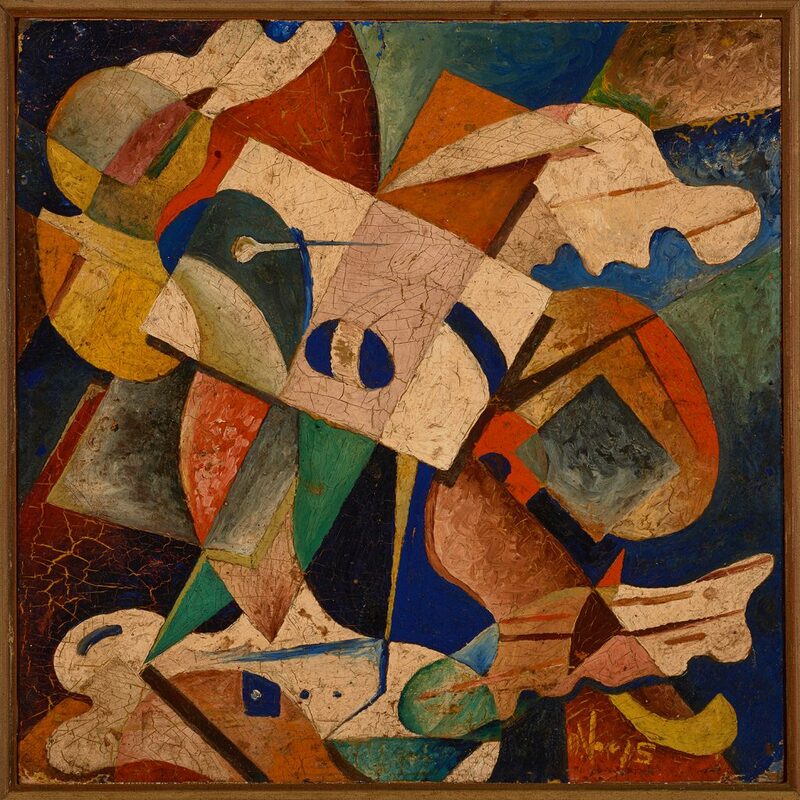 Oswaldo Vigas was a pioneer of modern Latin American art. He nourished in the currents of modern art of his time like surrealism, cubism, constructivism, informalism and neo-figuration but nonetheless construed them in a very personal manner while weaving theses influences with the primeval roots of Latin American culture. He is no longer viewed as a mere Latin American artist; he is acknowledged as a modern universal artist. He became an exponent in the Latin American avant-garde with a major role in the Parisian art scene during twelve years from 1952 to 1964. 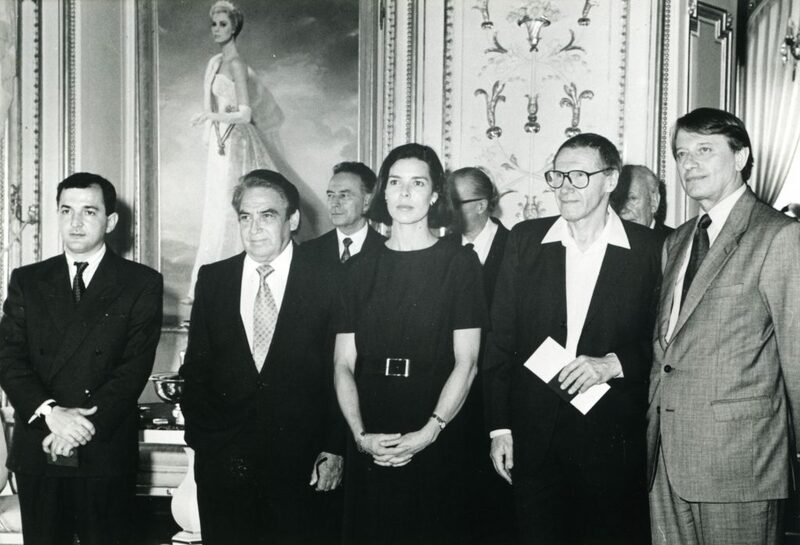 All his life he was committed to fostering the cultural life of Venezuela. His work reveals a continuous search for the Venezuelan Mestizo hybrid identity in a very personal, vigorous, authentic manner all his own. In his art, he reinstated our Pre-Columbian roots and African heritage infused with a vibrant European and North American modernism. 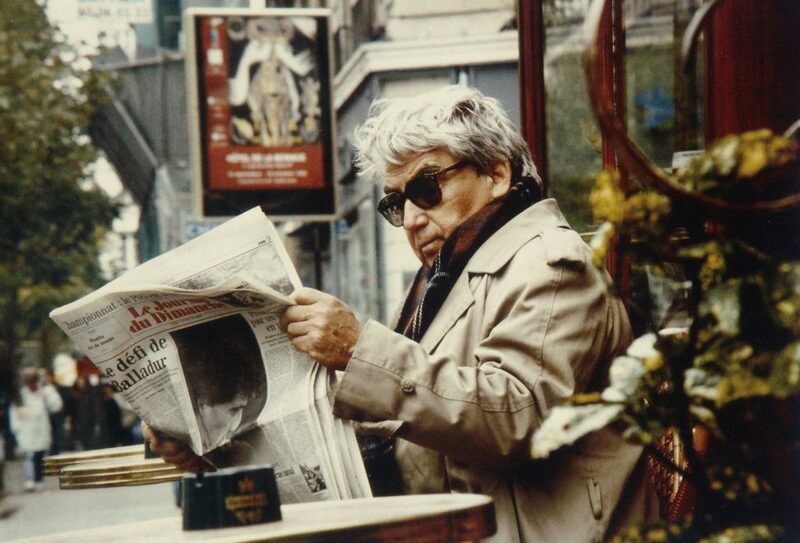 So tell us about the effervescence of his Parisian life in the 1950s, a world capital that attracted other curious, intrepid Latin Americans like him, artists and intellectuals who contributed to question, dig into and forge our complex Latin American identity. 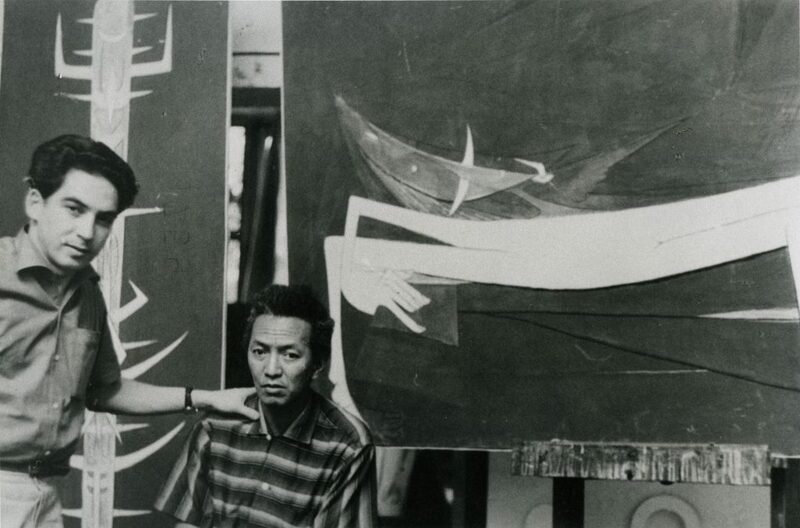 He had a wide circle of friends but was particularly close to Oswaldo Guayasamín [Ecuador, 1919-1999], Wilfredo Lam [Cuba, 1902-1982] and Fernando de Szyszlo [Peru, born 1925], all key figures in advancing Latin America art since the mid-1950s. On the other hand, he was also very close to Max Ernst and his Illinois-born wife Dorothea Tanning, like Ernst a painter of the Surrealist movement herself, and to Dutch founding member of the CoBrA group, Corneille. He met encouragement in the words of important art critics like Frenchman Jean-Clarence Lambert [born 1930], a poet and intellectual, friend of Paul Éluard, André Breton and Octavio Paz. Lambert wrote my father was “one of the true inventors of Latin American art.” Another influential intellectual of the Parisian art scene who supported him was Gaston Diehl, founder of the prestigious Salon de Mai [May Salon, 1943-2014], a collective exhibit founded under the Nazi occupation of Paris in opposition to its ideology, with the likes of art historian Germain Bazin on the board. In the May Salon his works were exhibited side-by-side with artists Jean Arp, Chagall, Giacometti, Laurens, Magritte, Matisse and others. Diehl became so entranced by my father’s work he later published a book on his art. What would indicate as the main period of his long artistic trajectory? It is hard to say since Oswaldo Vigas dedicated his entire life to art and never stopped painting till the last day of his life. At one point he said, “I will die with a paint brush in my hand,” and he did.